It's an interesting day in the cryptocurrency scene. All the coins in the top 10 are in the green, posting some serious gains over the last 24 hours. The most impressive showing comes from Litecoin, which is up over 80 percent, while the most modest increases come from Bitcoin and Bitcoin Gold. 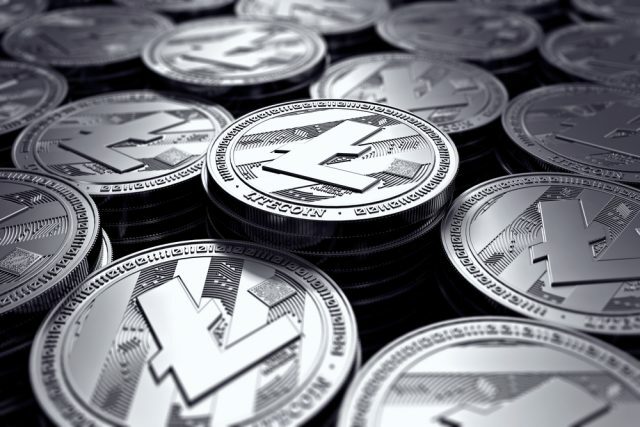 Litecoin has been steadily growing over the past month, rising from just under $60 on November 12 to over $300 today -- at the time of writing this article, Litecoin is trading around the $325 mark. As a result, it has become the fourth most-valuable cryptocurrency, after Bitcoin, Ethereum and Bitcoin Cash. The volume of Litecoin transactions in the past 24 hours is around $5.5 billion, being surpassed only by Bitcoin's $13.4 billion. Its market cap now sits at $17.68 billion, based on a circulating supply of 16.85 million coins. Its growth is sure to attract new investors, but if you ask Charlie Lee, Litecoin's creator, "people need [...] to invest responsibly." Based on the market's past performance, a crash is likely. Litecoin traded for around $4.5 on January 1. Every crypto bull run I've seen has been followed by a bear cycle. The market needs time to consolidate. That's just my experience from 7 years of watching this space. At such a high price following massive gains in a short period of time the risk is incredibly high. Many like to talk about a bubble in this space, but fact of the matter is that if a crash does take place soon these gains will be quickly wiped out. It would not be the first time this happens, as investors get greedy and push for new highs. Bitcoin's growth seems to have stalled around $17,000. As I am looking at Coinmarketcap.com, the price average for the most valuable cryptocurrency is $16,899, which gives it a modest gain of 1.89 percent day-over-day. However, considering the recent monster rally, which took its price from a low of around $5,500 to $18,369 a few days ago, Bitcoin has proven to be a fantastic investment. Bitcoin's market share is $284.61 billion, the highest by far in this space. Second-place player Ethereum is at $55.73 billion, thanks to a significant bump day over day of over 22 percent which took its price to over $580. That's a new record for the cryptocurrency, which has been struggling to take off the past couple of months. The cryptocurrency market is now worth around $484.64 billion. You may notice that the word "around" comes out a lot in these stories, and that's because it's impossible to list a price that's valid for more than a couple of seconds. To give you an idea what I mean, since I started writing this article Litecoin's price went over $340.